It might be helpful to begin with a brief bit of background around the situation re job search in the executive jobs market, as to be successful in this style of ‘reverse headhunting’, you’ll need to take on some fresh ideas, and unlearn some old job search habits. Today, recruiters are shifting into technology to better find the right talent for the right position; to find talent for the modern digital age; to find talent based on your digital and social brand; to find talent through digital networks of influence; to find talent based on shared and published content. Talent acquisition analytics and technology is one of the fastest growing areas of innovation in human resources. This presents a fantastic opportunity for the initiated to become findable, to be found and to be matched. This, is where organizations find the best talent for their situation and executive talent finds the best, most exciting opportunities for their core strengths and interests. New technologies help recruiters do much of the research, searching and data sifting. Recruiters then take these findings and insights to zero in on potential candidates whom they then engage in digital and traditional ways. 1) Make yourself more findable – and once found, to demonstrate your leadership capabilities. 2) Future-proof your skills that you will need in leadership roles going forward in today’s digital and globally connected economy. The bottom line: Recruiters are working hard to find you for the right role. We’re partnering with Jim Claussen of the Executive Social Academy to bring executive job seekers cutting edge tools and guidance to place themselves in a great position within the social world going forward, and the skills you’ll learn will be valuable not just during your job search phase, but right throughout your career going forward. 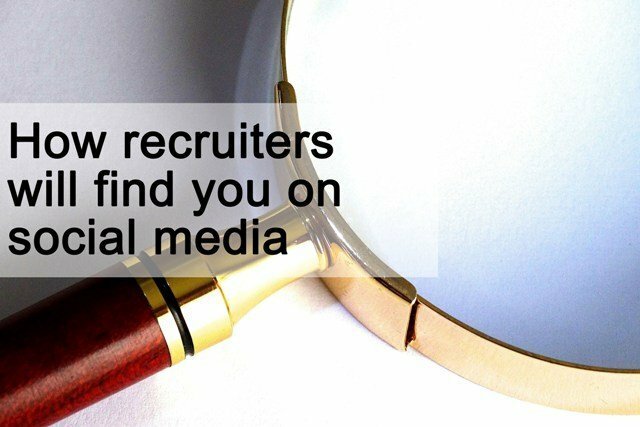 Recruiters are looking for you… are you making yourself findable? Are you leading the opportunity… or watching it go by? We’ll dive deeper into this whole subject area during an upcoming webinar, where I’ll be asking Jim to reveal some of the ways in which you can get started in social, and why as an executive job seeker, social is the smart way to bring opportunities to you. Click here for our next webinar information page (18th May 4pm BST), where you will see the full details and reservation link.